Jason Miin-Hwa Lim is an Associate Professor of Universiti Malaysia Sabah (UMS). He has successfully supervised Ph.D. and Masters students in the fields of Applied Linguistics, Language Education, and English for Specific Purposes. He has numerous research-based publications, including papers on Applied Linguistics and Language Education in national and international refereed journals, books and anthology series. His recent publications indexed in ISI Web of Science and Scopus include research-based papers in English for Specific Purposes (Elsevier) in 2006, 2014 and 2017, Iberica (AELFE) in 2011 and 2014, Journal of English for Academic Purposes (Elsevier) in 2010, 2012, 2015 and 2016,System (Elsevier) in 2007 and 2014, and Discourse Studies (Sage) in 2011 and 2013. He was invited to be a Keynote Speaker in six recent international conferences, including the Second International Conference on Languages, Literature and Linguistics (ICLLL) in 2017, the Second International Conference on Humanity, Culture and Society (ICHCS) in 2013, and the International Seminar on Language Teaching (ISOLT) in 2014. He was the Convenor of the International Conference on Languages, Linguistics and Society (ICLALIS) in 2013. 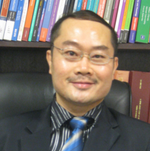 Currently Associate Professor Lim is (i) an Editorial Board Member of Journal of English for Academic Purposes (Elsevier) and English Language Teaching (CCSE), (ii) an International Advisory Board Member of Journal of Modern Languages (University of Malaya), and (ii) a reviewer of eight ISI-indexed journals in Applied Linguistics and Language Education. He has been an External Course Assessor and an External Examiner of postgraduate theses in Applied Linguistics. He has conducted various workshops (for lecturers and postgraduate candidates) on Academic Writing and Research Writing in Southeast Asian countries. He was also a recipient of (i) the prestigious Fulbright Scholar Award (for research at the University of Michigan, Ann Arbor, USA) in 2009 and 2010, and (ii) the RELC (Singapore) Research Fellowship Award in 2014 and 2015.